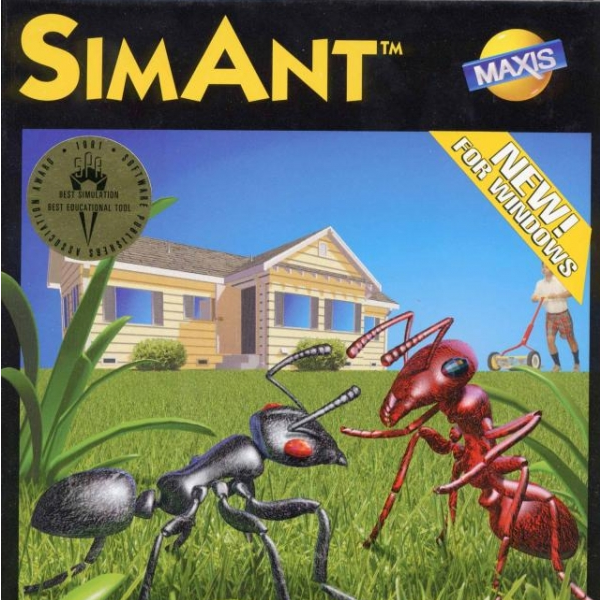 SimAnt font here refers to the font used in the cover artwork of SimAnt: The Electronic Ant Colony, which is a 1991 life simulation video game by Maxis. The font used for the game title in the cover is probably ITC Kabel Bold, a geometric sans designed by Rudolf Koch. You can view more details about the font here. In addition to SimAnt, Kabel typeface is also used in the following logos, movie posters or album covers etc., including: The Bus Is Coming, James Gang Rides Again, Toronto Maple Leafs, Petals on the Wind, Everybody (Logic), Dumb and Dumber, Angus, Thongs and Perfect Snogging, Piggly Wiggly, White Men Can’t Jump, Six Flags, Wrangler, Cold Fact, Joey, Build-A-Bear, Dead Island.